Video clip synopsis – General John Monash strived to ensure soldiers that had fought in the Great War received due honour, recognition and assistance. He played a pivotal role in creating Anzac Day commemorations. 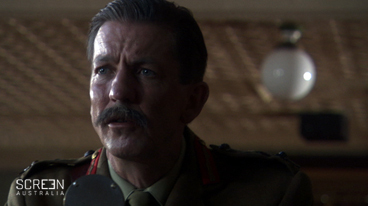 Anzac Day is an excerpt from the documentary Monash – The Forgotten Anzac, produced in 2008. Monash was a most unlikely Digger hero. Of Prussian-Jewish extraction, cultured, fussy, an organised, methodical disciplinarian to the point of obsessiveness, he was a middle-aged, overweight citizen-soldier with no active war experience when hostilities broke out in 1914. Yet he was the leader Australian soldiers needed both during and after the war. Anzac Day marks the anniversary of the first major military action fought by Australian and New Zealand forces during World War 1. On the morning of 25 April 1915 troops landed in Gallipoli, Turkey. There are no longer any living survivors of this campaign, but it is commemorated each year as ANZAC Day with parades, services and rituals. What is the meaning of the acronym ANZAC? Think about the most recent ANZAC Day. Brainstorm what you know about it. * How was it commemorated? *Who was involved and how? *Where did ANZAC Day events take place? *What key words do you hear during ANZAC Day by those involved in commemoration activities and by the media? *What symbols and music are associated with ANZAC Day? Imagine you are explaining the meaning of ANZAC Day to an overseas visitor. What would you say? Role play your exchange with a partner and then swap roles. In recent years the media has highlighted the ceremony in ANZAC Cove, Gallipoli. Increasingly young people are taking part in the Gallipoli ceremony. How is ANZAC Day relevant to people of your age group?